If you’re a musician on tour, an author with a new book release, or a non-profit with a fundraising campaign, mailing lists allow you to create digital newsletters that you can send out to customers, clients or fans. Newsletters and other mailing lists can be a great way to build regular traffic to your website, create brand loyalty, and earn money. The service MailChimp offers a popular and inexpensive way to build full-featured newsletters. MailChimp provides a lot of design options and keeps track of how well your email campaigns are doing. 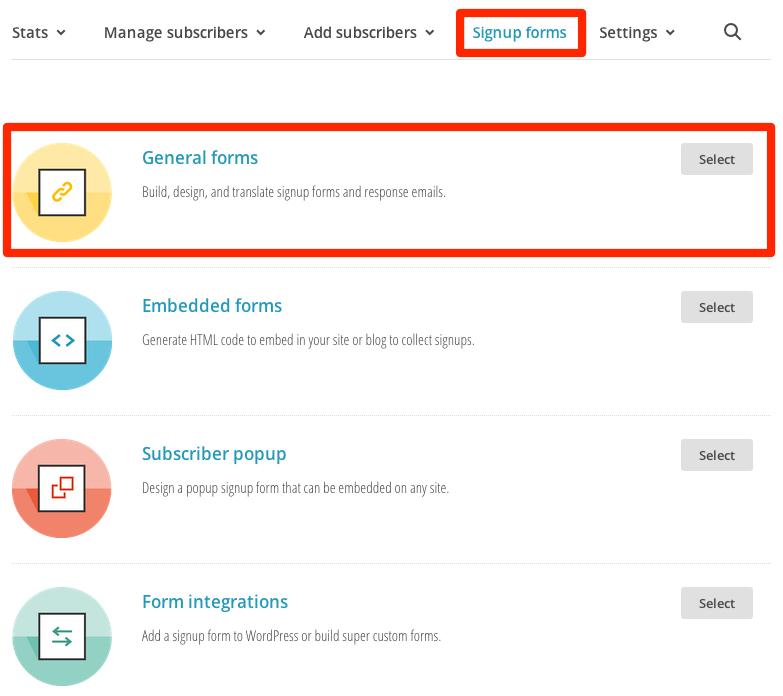 In this post I will explain several different options for integrating a MailChimp signup form on your WordPress website to immediately capture email information from your site visitors. Below you will find tips will work for sites hosted on WordPress.com as well as sites hosted on other providers. You can paste that code into a Text Widget or in the Text view on a post or a page. 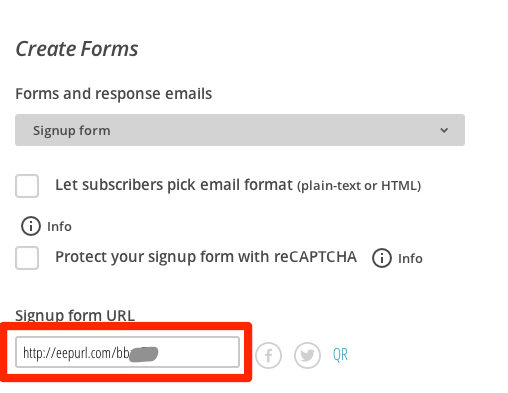 Alternately, you can install a MailChimp plugin and create your signup box there. On this site, at least at the time of writing I’m using MailChimp for WordPress. 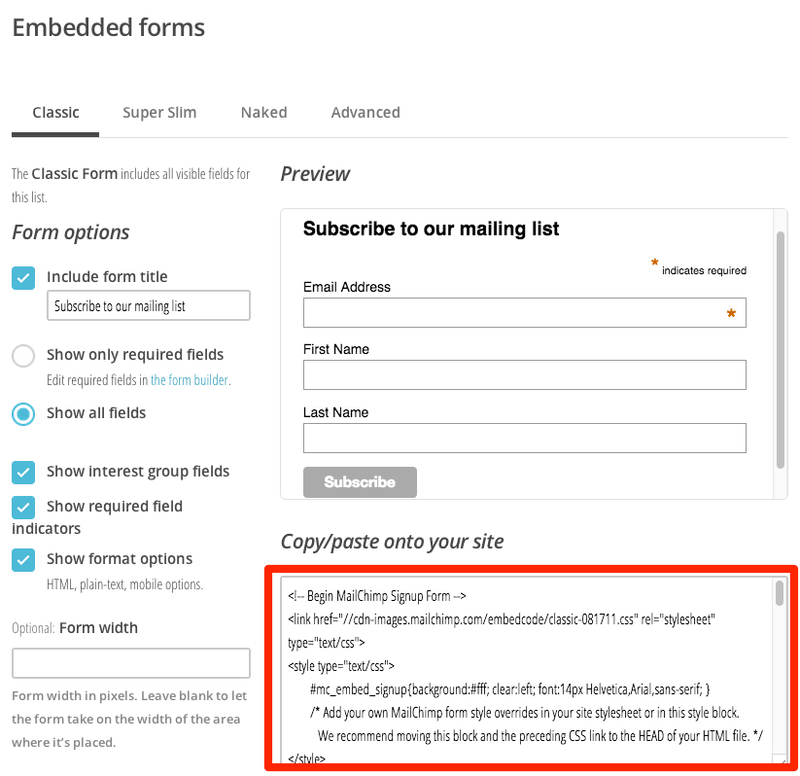 This plugin requires you to create an API code on MailChimp that you need to enter into the plugin settings page. 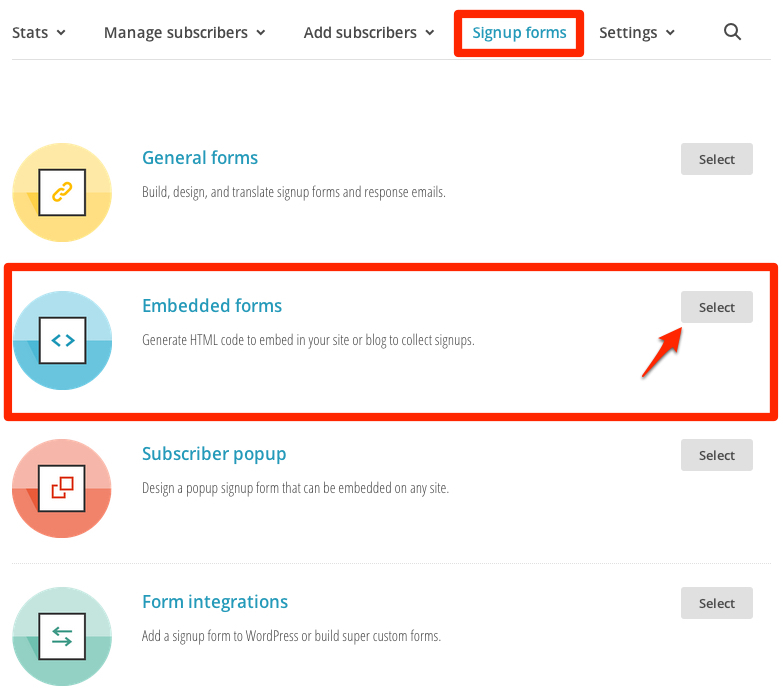 That will allow your mailing lists to show up within the plugin so you can create your subscription box and then enter a shortcode (a brief code enclosed in brackets [ ] ) into a Text Widget. When your site is hosted on WordPress.com rather than a separate hosting provider, you cannot upload plugins, and you cannot use any embed codes, making both of the previous processes impossible. However, there is a pretty easy workaround. Once you’ve saved it, you will have a clickable button that will take users to a signup form for your MailChimp newsletter! On the internet, content is everything. Some SEO consultants will spin tales of woe, telling you that no one will ever visit your website unless you shell out big bucks. No matter what someone says, none of us have the keys to the secret kingdom of Google rankings. Instead, you should focus on your content and that will improve site traffic, SEO and your conversion/sales rates. In this post I’ll explain six things you can do to improve your site traffic. 1. Make sure your messaging is clear and concise. When someone goes to your home page, do they know exactly what you are trying to do? Is it obvious that you are selling a product, providing a service, sharing your thoughts, or offering information? Too many people muddy their site with multiple messages or try to do too much. For example, if you’re a freelancer, make sure your website screams to a new visitor what your services are. Alternately, if your primary goal is selling an Ebook, make sure there’s a ‘buy now’ button on your home page. Who is the primary audience for your product, service or message? Figuring out who you’re trying to reach will help you decide on an appropriate website design, the kind of messaging you need to use, and effective keyword strategies to employ within your web copy and taxonomies. 3. Invest in effective copy. You get a lot of bang for your buck with clear and concise writing on your website. This can seal the deal with potential customers/subscribers, who can quickly assess that your site provides what they need. Are you using as few words as possible to explain your point? Too often people get bogged down in verbiage and no one wants to read a wall of text. If you’re not a writer, hiring a copywriter or an editor (such as myself!) would be a good investment. 4. Make your site as user-friendly as possible. The prettiest website in the world is a complete failure if people can’t find and use the information they’re looking for. Make sure your menus and other navigation are easy to use, with clear labeling and logical structures and taxonomies. Try to anticipate everything a potential site visitor would want to do, and include a search box for those times when people want to do the unexpected. An added tip: spend the extra time/money to make your site accessible to the visually or physically impaired. This will not only allow a larger segment of the population (including the elderly) to use your site, but it will also give you bonus SEO points. As I noted in my post, ‘How Images Can Boost SEO’, it’s important to use not only include effective images but also to tag them appropriately to help boost your SEO. 6. Update your content regularly. Google hates sites that never change. If you don’t already have one, consider adding a blog, events calendar, announcements, or other regularly-updated content to your site, along with a commitment to keep this information fresh and timely. When writing blog posts, it’s easy to make images and illustrations an afterthought. You might add one or two photos to jazz up the post or because the theme requires a featured image to display on the home page. Did you know that carefully selecting images and tagging them properly can improve your search engine results and boost your ranking? By adding additional text to your images in the form of titles, tags and descriptions, you will provide additional data to Google and other search engines when they index your post. In turn, this will add rich content to your post or page, as well as allow the image itself to appear in search engine results for the content you’ve included. This is the first field that appears in your media library. Here you will want to use a title that is descriptive of the image at hand. Don’t upload images with IMG15913.jpg or whatever your camera/phone gives as a generic title. 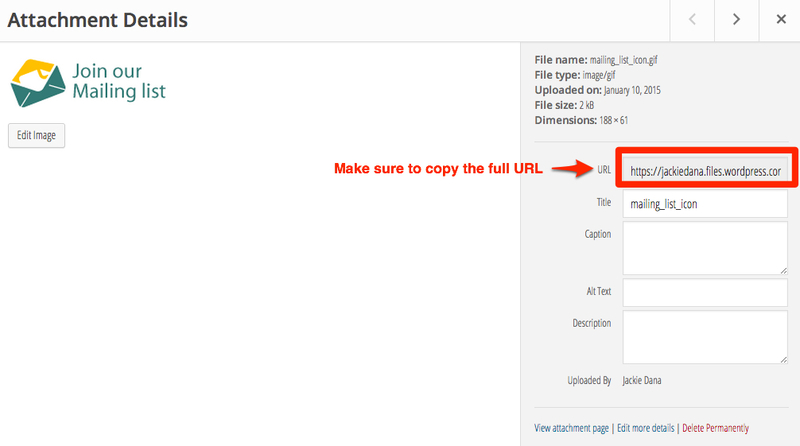 Instead, rename the files before you upload them to a useful phrase, or retitle them here. Note that the title is carried over into the permalink, which is the location for the image’s attachment page. The attachment page is the stand-alone page that displays the image on your site. The image title is important for search engines to use to identify the general content of the image. 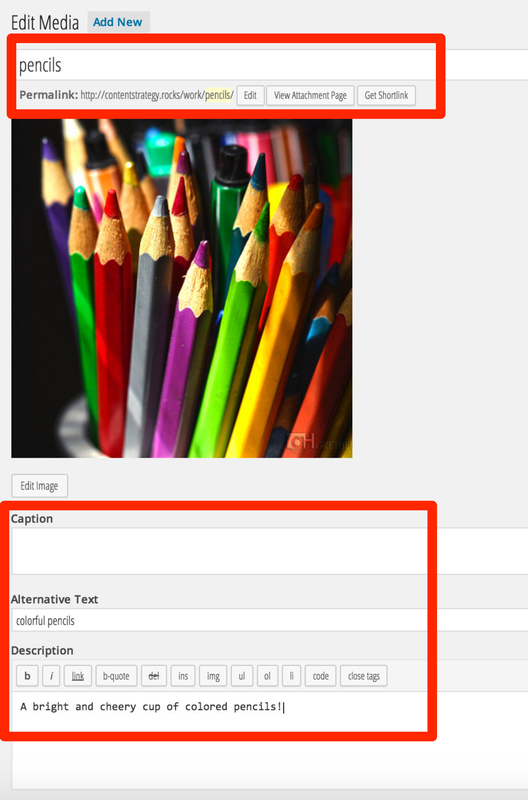 Captions are optional, and the caption text will be displayed within a box or border surrounding your image, or in a separate type face (depending on your theme). If you decide to use captions, they can be a great way to convey additional information about your image, including the content, identifying people, and/or citing the source of the image. All of this information can then be used by search engines to understand what information is included in the image. Alt tags are very important and should be included on all images. This information is what will be displayed if your image is not viewable on your site, such as when someone with a visual impairment goes to the page with a screen reader. However, alt tags also provide critical information to Google, which is also blind and cannot ‘see’ your image. When creating an alt tag, be descriptive but concise. Explain briefly what the image is, within the context of the site. Do not write sentences or ‘keyword stuff’ your alt tags. The description is what will display on the stand-alone attachment page (the permalink noted above). You can write anything you want here, so you can get creative and include an entire paragraph or more of information if you wish. The key here is remembering that again this is providing data to search engines. By including some or all of this information with each of your images, you will increase your post or page SEO and increase the likelihood that someone will find your site in a Google Image Search as well. The following steps will explain how to create a new account with Google Analytics and connect it to your WordPress site so that you can begin collecting analytic data on who is visiting your site, which pages they view, and other data points. 1) Go to Google Analytics and log in with your Google/Gmail account. Note that this account can be used for a number of websites (each having its own “property”), so you should choose your business name or your own name, rather than the website name. After agreeing to the Google Terms of Service, you will land on your new account’s Admin page. You will be able to get back to this page any time you need to by going to https://www.google.com/analytics/web/ while being logged into your Gmail/Google account. 5) Copy the Tracking ID (a code beginning with UA-). For most WordPress sites, you can disregard the tracking code snippet below the ID. 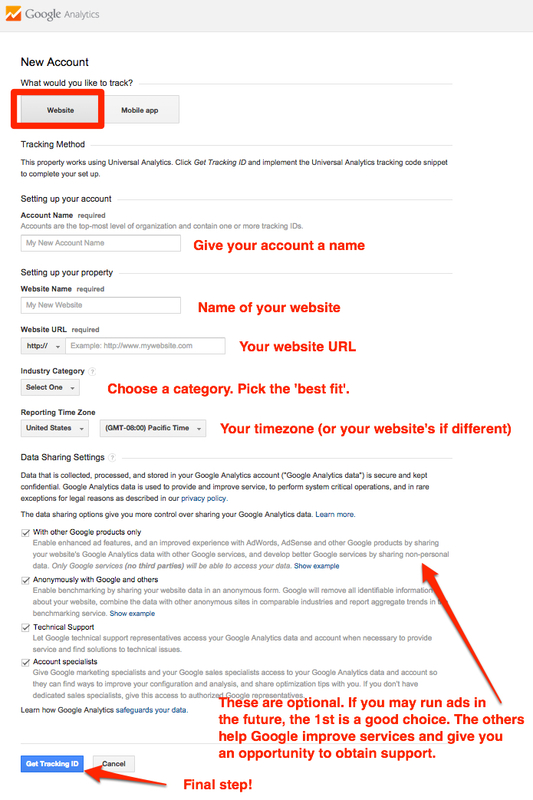 6) Install and activate a Google Analytics plugin. 7) Enter your Tracking ID into the plugin (or connect with Google through the plugin) according to the plugin instructions. Once you have connected your site to Google Analytics, Google will start collecting data behind the scenes. When you’re ready to check out the data, you can view some basic data in the plugin (depending on which one you choose) or log into Google Analytics for a full view. Caveat: depending on the traffic to your site (and the age of your site) it may be weeks or months before you have meaningful data to analyze. When you’re setting up your new WordPress site, the first decision you need to make is where your site should be hosted. The primary options are hosting your WordPress site on WordPress.com or alternately, on a different hosting provider using the free software available at WordPress.org (often referred to as “self-hosted”). So which is right for you? If budget is your primary consideration, WordPress.com is the clear winner, in that you can get a site up and running for free. Even with the Premium upgrade, the hosting only sets you back $8.25/month. The support and maintenance by the staff at WordPress.com also make the site nearly worry-free. However, there are limitations since you cannot use your own themes or plugins and have only limited access to theme files. 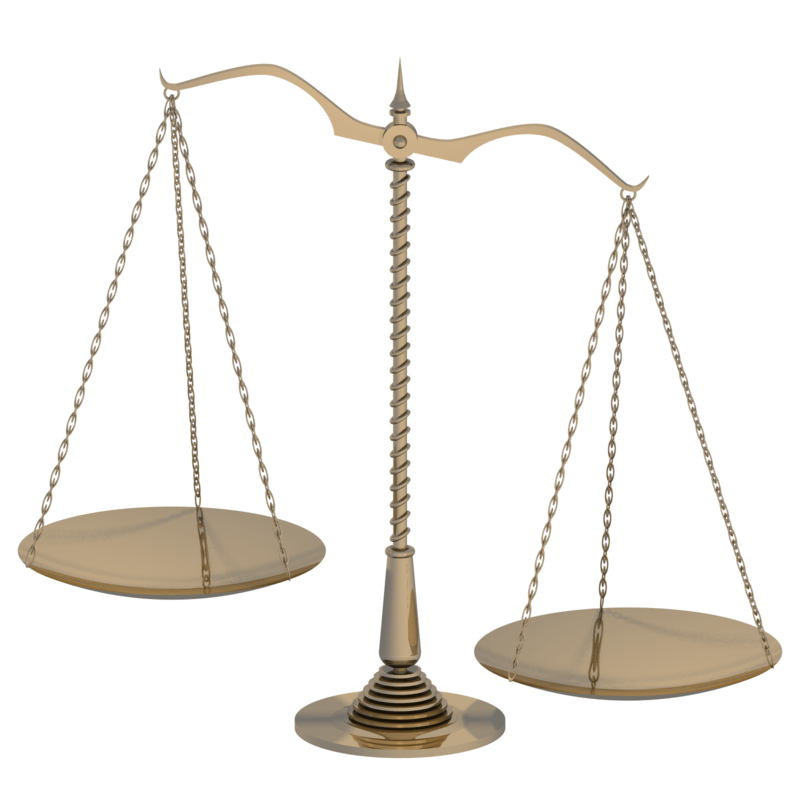 You also must keep the WordPress.com footer and abide by their Terms of Service. Self-hosting opens up a lot more options, notably the ability to upload your own theme and plugins. Furthermore, if you need advanced functionality (for example, membership options, paywalls, special landing pages), if you want to run your own ads, or you want a truly customized site design, then a self-hosted WordPress site is likely the better option for you. When you need to give a new person access to the back end (Dashboard settings) of your WordPress site, the best practice is to create a new administrator of the site with a separate username and password. This protects your own account information and allows you to deactivate the new administrator account later if you no longer need it. This can be done in just a few easy steps. 1. Log into your WordPress Dashboard, typically at http://www.yoursite.com/wp-admin (where you replace ‘yoursite’ with your actual domain address). 2. Navigate to “Users” in the left-hand column, and under that, select “Add New User”. 3. Complete the new user profile by assigning a username and password for the new user, as well as a role. For an administrative user, be sure to choose “Administrator.” Make sure you include the user’s correct and preferred email address. 4. Click on button to “Add new user” and the user will be added to your site, and an email will be automatically sent to the address you listed, informing the new user of their account (and prompting them to change their password if you didn’t send it to them).